A fresh perspective of talent and deployment is needed if Malaysia is going to reach its lofty objectives of becoming a global digital hub both as a domestic market and centre of innovation. Currently there is already immense pressure on its existing talent pool to service requirements across areas like Data, Software engineering and UX, all of which are pillar skillsets in the quest towards digital transformation. There are host of excellent initiatives in play which are leading to the gradual maturing of the existing talent ecosystem and I see evidence that government is getting behind its grass-roots initiatives to ensure talent is coming through where it’s needed, though I sense the private sector still has work to do to close the gap and drive intake and training. Malaysia also remains relatively straightforward via its expat friendly platforms, MDEC and Talentcorp, which facilitate highly skilled workers into the country where its needed to promote knowledge transfer in niche sectors. All good initiatives and all play their role, though these are, at best mid-term strategies that hopefully will combine to nurture and nourish the local talent pool. In mature markets, like the UK, Eurozone, US and Australia, at least 50% of the workforce in the technology sector are actually contractors, or ‘outsourced’ professionals. This means, such workers will work either via their own appointed platform or via a third party framework as a one-man company. They will not operate as an employee, or a fixed cost to the end client they are providing services to and will often be working for terms of 6 months to 1 year, with determinable project objectives to achieve during this fixed term. Similarly, this outsourced specialist will only be paid for work done, will not accrue salary for holidays and will not be entitled to any bonus. Furthermore, the contractor will need to stay on his or her toes to ensure consistent workloads and income. Whilst this seems the burden of risk is massively over-weighted towards the worker in this case, this is in fact a far more common mode of deployment in such locations than I have experienced in South East Asia. However, it works very well and we need to see more of it in Malaysia. The benefit to the employer is quite obvious – less risk, less hassle and more flexibility. Add to the equation the idea of skilled contractors carrying super niche skills whereby they can complete a project in a fraction of the time and it starts to make a lot sense. The reality of the vast majority of technology project work, is that there is no guaranteed workload once the project is completed, so the notion of having a fixed resource is cumbersome and can lead to a having a square peg for a round hole. This also poses constant headaches for CIOs and programme directors who are constantly needing to manage capacity and hold staff on the bench when they are not needed or overstretch their teams at other times – it’s almost impossible to create a happy medium. 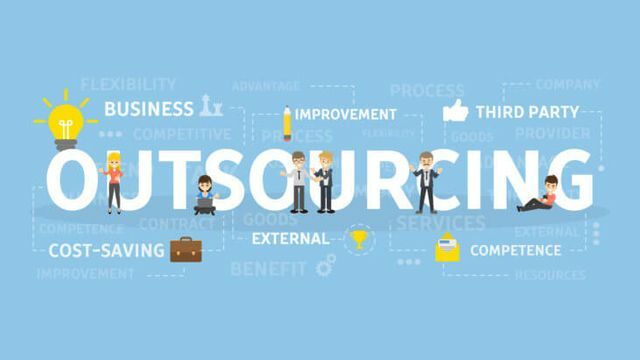 The contracting or outsourcing approach solves this, especially in mature markets where you have specially trained professionals that are constantly reviewing new product releases to stay ahead of the latest platforms and tools, so they can deploy them effectively where needed. The quid pro quo for the contractor is, in short, financial premium. Given all the risk carried and lack of perks, this can be bundled into much higher returns. So the accomplished contractor may be able to earn, say double a pro-rata permanent equivalent to make it worthwhile. The fact is, it’s self-perpetuating and reciprocal and it works, because it’s a win-win. The client gets resources at low risk and hassle when they needed it and can turn the taps off at the end of the project and manage costs and the contractor takes a healthy bounty in return. Until high growth locations in South East Asia start to embrace this trade off, it’s going to be very difficult to build talent pools of specialist workers to drive transformation in short time-frames and motivate them financially. I also believe the current visa system is not quite as conducive as it needs to be to promote the import of highly skilled ‘super-talent’ from locations, where outsourcing is more common, into the locality, to take on projects and promote knowledge-transfer on a short-term basis. I believe much of the emphasis, though, needs to lie with the private sector opening up options for interim engagements or short-term outsourced assignments where needed and actually offer a premium to those willing to take up such project, as there are definitely reciprocal benefits to this, as explained. I also feel we need to educate the technology population around the nature and merits of working as an outsourced professional too, as I do believe there is needless stigma attached and disproportionate concerns around risk, especially if the market can grow and pay better returns. Finally, I would also suggest we need to see further accommodation at policy level to provide platforms to ultra-highly skilled workers to come to Malaysia and provide specialist expertise, rather than having to navigate the existing framework, which is entirely geared towards permanent assignments. If Malaysia can start to embrace such initiatives, this will create significant efficiencies in the area where it is most needed – in the availability and deployment of niche talent to effectively drive digital transformation with the highest quality in the shortest time-frame, ultimately saving costs too.